SALT LAKE CITY, Utah – HARMAN’s BSS Audio today announced its BLU-50 signal processor is now shipping. The BLU-50 provides a cost-effective addition to the Soundweb™ London family of digital signal processors. The Soundweb London BLU-50 represents a premium, open-architecture solution in the form of a highly flexible, cost-effective and scalable package. “The BLU-50 represents the most versatile and affordable open-architecture processor BSS Audio has ever offered. The BLU-50 underscores our commitment to offering highly scalable processing solutions for a variety of smaller fixed installation applications,” stated, Iain Gregory, Market Manager for installed sound, HARMAN Signal Processing. The BLU-50 can be configured, controlled and monitored from both the newly introduced HiQnet London Architect™ version 6.0 and HiQnet Audio Architect™ version 1.4, to be released soon, and is compatible with other members of the Soundweb London family. 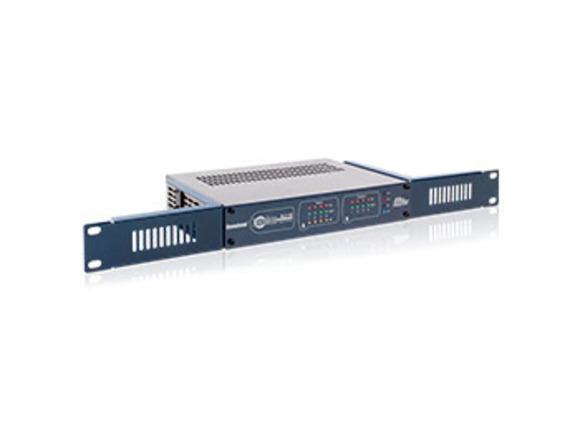 Its 48 channel BLU link bus represents channels 1-48 of the larger 256 channel BLU link bus when integrated with the BLU-800, BLU-320, BLU-160, BLU-120, BLU-BIB and BLU-BOB devices. Up to 60 BLU link compatible devices can share channels on a single bus.